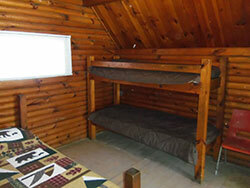 Don’t have a tent or RV? Don’t count yourself out of the fun! 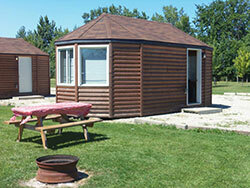 Windsor Campground is pleased to offer cabin rentals featuring room for up to four adults. 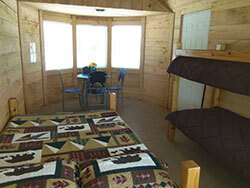 Our cabins afford guests a viable, convenient and unique alternative to renting a hotel or motel room. 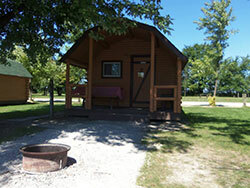 Each of our 4 cabins come with a fire pit and picnic table. 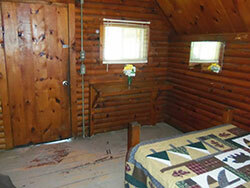 Four cabins (2 Large, 2 Small) are available from April through October for daily, weekly or monthly rentals. 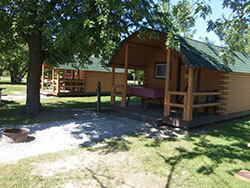 Enjoy all the traditional experiences of a back to nature vacation without ever hammering a tent peg! 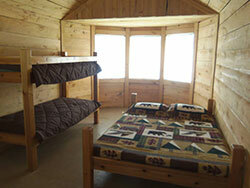 Camping Cabins represent the best of both worlds: days spent outdoors and nights spent out of the elements. 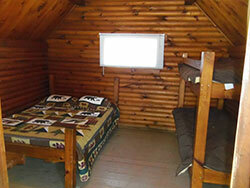 All cabins offer easy access to shower, washroom and laundry facilities.